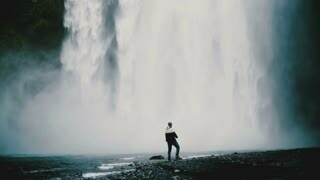 Freedom: back view of young woman standing on the rock near the Gljufrabui waterfall in Iceland and raising hands. 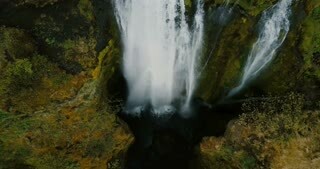 Aerial view of the tourist looking on Gljufrabui waterfall in Iceland. Group of people enjoying the scenic landscape. 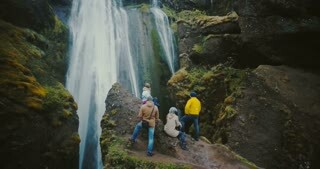 Aerial view of the group of tourists enjoying the view of Gljufrabui waterfall in Iceland. Friends happy after hiking. 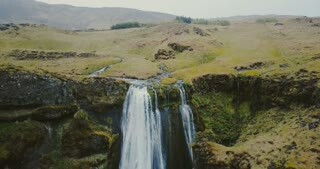 Aerial view of the group of tourist resting on the top of mountain and looking on the Gljufrabui waterfall in Iceland. 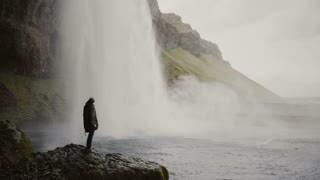 Back view of young man standing on the stone near the powerful waterfall Gljufrabui in Iceland in windy day. 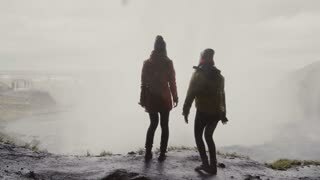 Back view of two happy female tourists near the Gljufrabui waterfall in Iceland. 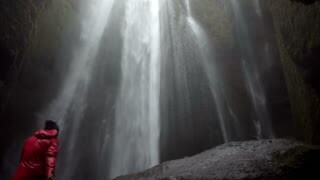 Women jumping of joy near sight. 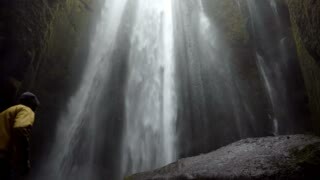 Young man with action camera standing close to Gljufrabui waterfall in Iceland and filming video of stream of water. 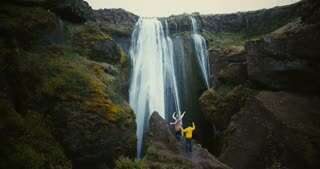 Young tourists with action camera near the Gljufrabui waterfall in Iceland. 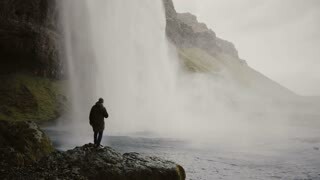 Man looking on famous sight of North nature. 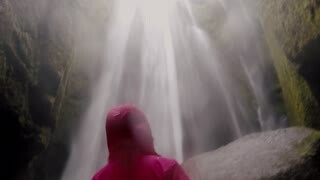 Back view of young handsome man standing near powerful Gljufrabui waterfall in Iceland and taking photos on smartphone.